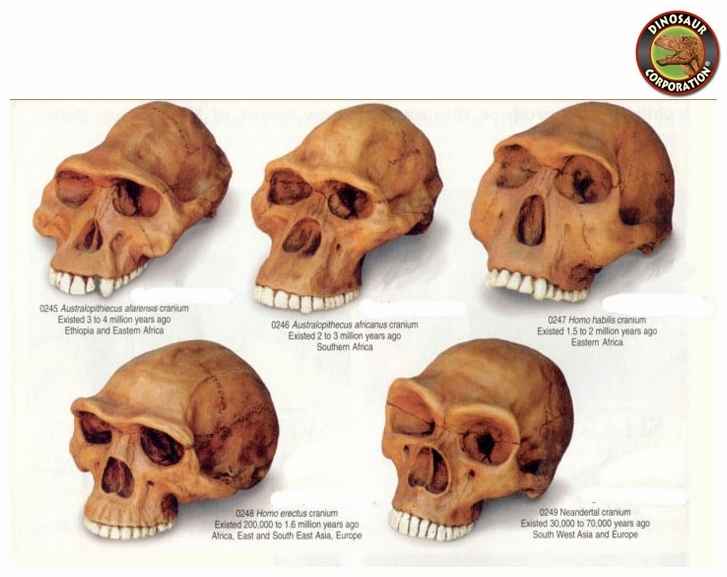 The Hominid series of five skulls. Fossil replicas. Australopithecus afarensis cranium, Ethiopia, S. Africa, 3-4 million years ago. Neanderthal cranium, South West Asia, Europe, 30,000-70,000 years ago.